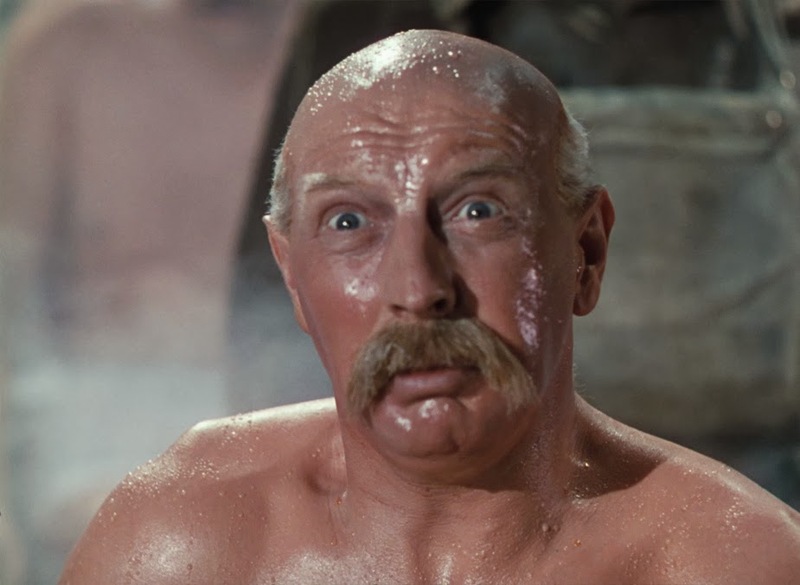 Colonel Blimp: Can Anything Make Me Love Cinema More?! Let’s get the long, suspenseful lead-up out of the way. I never avoided The Life and Death of Colonel Blimp. I never had an aversion to it. I never worried if it was “my cup of tea.” It never turned me off, thinking it was a stuffy British drama on par with Gone with the Wind. In fact, of all the films on my List of Shame, it is the newest to enter the “need to see.” Ever since I read the announcement of Criterion’s blu-ray release, and started researching the painstaking years Scorsese & Co took finding and restoring this film, I was hooked. In fact, though the title traveled in and out of my academic and professional conscience – much like Mike Leigh’s Naked – it never got the green light in my head. No real drama there, just never picked it up. Same with Naked; I kept saying, I’ll pick it up on the next Criterion 50% off sale, and just usually opted for a Kurosawa blu-grade or more recent releases. What I can detail, without a doubt, is the graphical representation of the experience I thought I was going to get with Colonel Blimp. Let’s start with the widely dispersed poster and cover art. 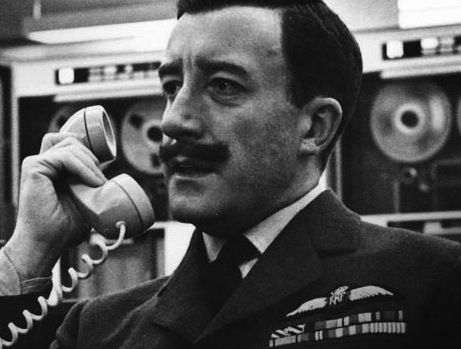 So, for the indoctrinated (and myself now), the amazing Roger Livesey is the titular “Blimp,” Clive Candy. I cannot say enough about how transcendent his performance is, embodying a career military man over 40 years of his life, basically from 1902 to the beginning of WWII. There’s humor, there’s love, there’s a true character portrait. And the physical transformation of Livesey is astounding. Through make-up, the use of doubles and good acting, Livesey goes from a fit rapscallion to a bloated general, spouting the jingoistic status quo (Scorsese and De Niro looked to Livesey when they were readying De Niro’s Jake La Motta in Raging Bull). The film overall is highly influential, beautiful and grand. Along with Livesey are Anton Walbrook (an Austrian who, much like producer Emeric Pressburger, lived through the rise of Nazism in Germany & Austria and expatriated to England) and Deborah Kerr, playing three different roles in one of her earliest and most admired film credits. Kerr, Walbrook & Livesey make up a decades long love triangle in the film. Walbrook’s character, Theo Kretschmar-Schuldorff, falls in love with Kerr’s first iteration, Edith Hunter in 1902, and marries her with seemingly encouraging approval of Livesey’s Candy. Subsequently, however, Candy realizes he loved her all along, seeing his infatuation in her next two iterations, WWI nurse Barbara Wynne and WWII driver Angela “Johnny” Cannon. The love story often injects both the lightest and melancholic parts to the film; especially after Candy realizes it is too late to have the life he might have idealized. The other side of Colonel Blimp is a biting satire of British militarism. 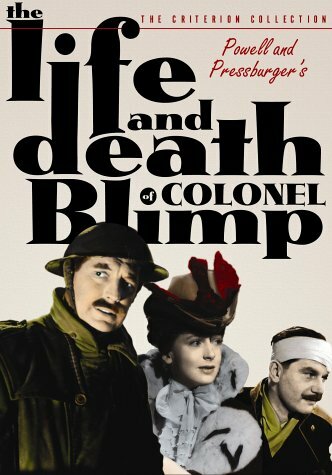 For those unaware, like I was prior, of why this film is titled as such, the name is derived from the influential comic strip in which Colonel Blimp, a company man through and through, spouts his rather ancient ideals concerning everything from British foreign policy to conservative stuffiness. In a liberalizing world, the British management, the “Old Guard,” came to be seen as out-of-touch, obviously not-of-this-time, armchair generals getting fat in saunas and talking about the old days. In their world, they were the Blimps, still upholding a belief in the “gentleman’s war” and the integrity of “the duel.” One of the lines that keeps getting thrown around even early in the film illustrates the chasm: “war starts at midnight!” The Old Dogs still want to keep to a gentleman’s schedule, while the new generation knows that it does not work. The Nazis have changed that. There’s no longer the forward movement of a single frontline of soldiers, and a break for tea time; now it is guerrilla warfare, now it is the element of surprise. It’s rather interesting to watch Colonel Blimp as I did very close together with Errol Morris’ The Fog of War. Between the two, one can see the history of colonialism in the world: superpowers like England and France, built on pomp and circumstance, nationalism and military supremacy, stretching out their values and culture to other continents. Their oligarchies and eventual democracies hypocritically at odds with oppressing darker folks who didn’t speak the language. Blimp is someone who fought the Zulu. And even when he wasn’t fighting “the Krauts,” he was hunting the exotic animals of Africa, or exploiting the workers of India, or imposing racist laws on any number of his colonies. Candy in the film is a pinnacle of what the 19th Century British nationalist believed. Problem is this is 1942. We can’t fight wars like we once did. We can’t afford to think the way we once did. Colonel Blimp‘s layered story and grandiose flourishes come courtesy of my favorite filmmaking team, Michael Powell and Emeric Pressburger. I admit, it took about 30-45 minutes for me to get into Full Appreciation mode on Blimp. It has a seeming slow-burn, even when its wonderful scenes of warmth and comedy and tragedy are playing out. I knew I loved it, but it had to grow on me. It was weird because prior, I had immediately been onboard with P&Ps previous outings, or at least the ones I’ve seen, which is few. The best of what I’ve seen, and most viewers’ favorite from what I’ve seen and heard, is The Red Shoes, including another stupendous performance by Walbrook and starring Moira Shearer. I had an immediate, unchecked falling in love with that film. But yes, it took some time for me to find the same love in my heart for Blimp. Moving toward the WWI era, then into the 1930s of the film, I was in a sweet spot. Then, it happened. The most ahead-of-its-time, heart-wrenching scene about the horrors of Nazism one could see prior to maybe The Pawnbroker or Shoah or Sophie’s Choice. Anton Walbrook, an actual Austrian who had to flee his country, tells the story of how his wife Edith died and how his children became Nazis. If it isn’t heartbreaking enough, it plays out in a one, uncut shot. POWER-FUL STUFF. This scene defined the film for me. When people think of epic filmmakers, they often throw out David Lean first. The man made some of the biggest budgeted, longest duration, “important” movies in British film history. Lawrence of Arabia, The Bridge on the River Kwai, Ryan’s Daughter. Probably his most lavish and indulgent film, Doctor Zhivago, is the one that Colonel Blimp is most akin, in my opinion. A love story that spans decades against the backdrop of war. It’s just fertile for drama, anywhere you look. The difference is that Zhivago is overlong and not really as good as people remember it; just like Gone with the Wind or the stupidity of Love Story. Sorry, but all three are generally saccharin, grocery store aisle pulps about unrequited love. (Zhivago has its moments, and honestly it’s been years since I’ve seen it; I just can’t muster the interest to sit through it again in my life. Overindulgent to say the least.) However, Colonel Blimp keeps getting better with every viewing – three so far – as its layers and themes and beauty reveal itself as one gets lost in its setting, characters and mise-en-scene. It is, without hyperbole, the best acted and directed film I’ve seen from the classic era. And the best I’ve seen so far for Cinema Shame. I love it “very much,” as early, English-lacking Theo would say.